Are you struggling to learn guitar chords? Would you like an effective way to memorize, play and combine chords to make music on the guitar? Do you want to confidently strum rhythms the right way? Do you want to build perfect practice habits that will stay with you for a lifetime? 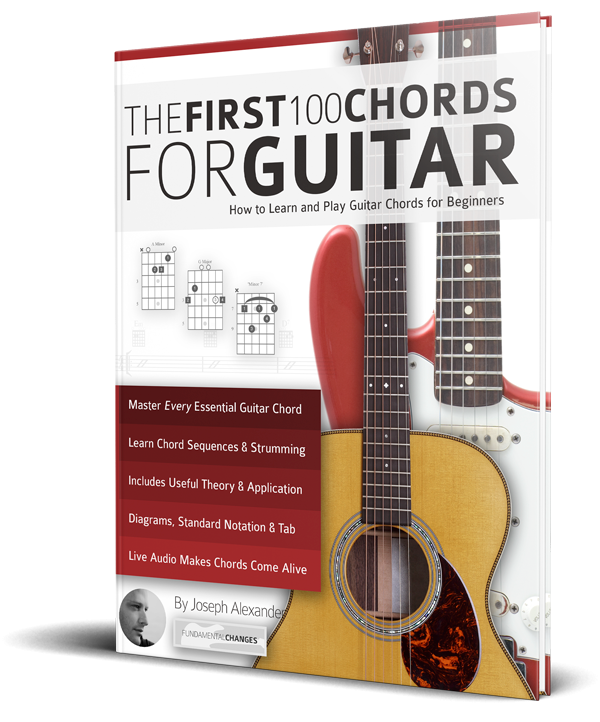 The First 100 Chords for Guitar will teach you to correctly fret, strum and combine the essential chords in music to become a better musician, quickly and easily. 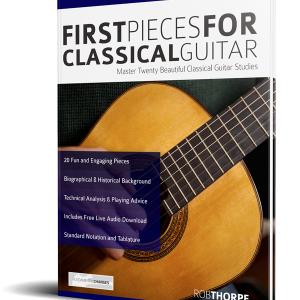 • A proven practice routine that helps you build muscle memory, great technique and musical knowledge. Bonus One: Learn to link chords together in a truly unique, musical way. Linking chords means practice is always fun as you explore creative ideas. Bonus Two: A complete guide to essential strumming patterns on guitar. Are you Missing Part of the Puzzle? Most guitar beginners know a few chords but few actually understand that it is quick and easy to expand that vocabulary into hundreds of chords and colors. 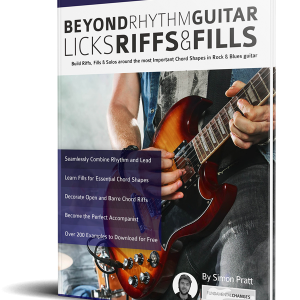 The First 100 Chords for Guitar is not simply a cold list of chords, it’s a complete guitar method for beginners that teaches you how to practice for a lifetime of good guitar habits. 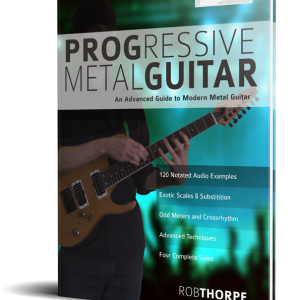 From the most basic chords, right through to some rich and exciting advanced voicings, you will be guided in small friendly steps. Throughout, there is an emphasis on using the correct fingers, changing chords smoothly, building great technique and developing creativity. Test Yourself! At the end of each chapter, the newly introduced chords are combined into real-life chord progressions. How to Practice! 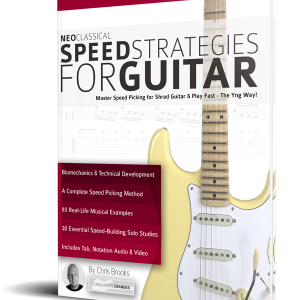 – Also included is a detailed ‘How to Practice’ section along with dedicated chapters on Essential Strumming Patterns and some Chord Theory. Learning chords from paper is one thing, but once you hear how to apply them, they become music. 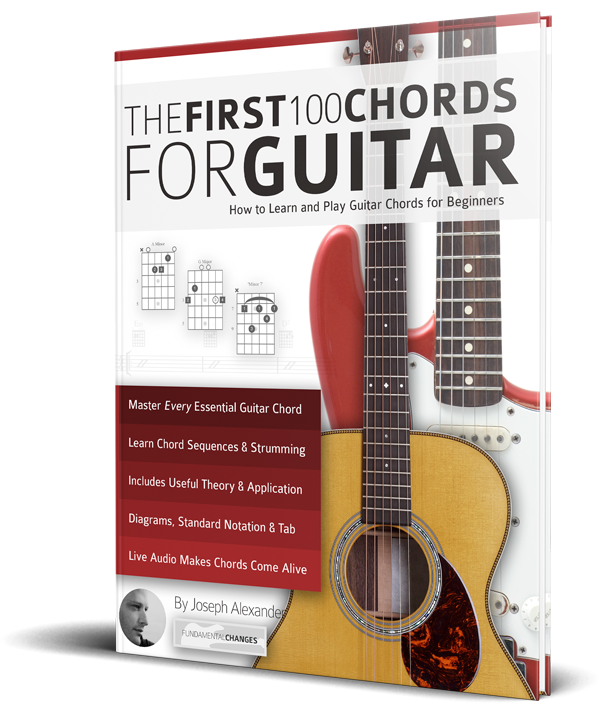 The First 100 Chords for Guitarists contains many supporting audio examples to help you get inside the music, and quickly apply every new chord in a musical situation. Get the audio for free from www.fundamental-changes.com.